Latvia and Estonia tackled their own indebtedness by cutting from the centre, slashing public sector pay by 30% and reducing the tax burden on productive business. The reason we are on the hook for massive borrowing by the government is not just the banks (although that tells its own story of political dependency), but because we have a reprise of the 1980's approach: circle the wagons around the vested interests and rely on tax rises and emigration for a slow, painful recovery and eventual reduction in unemployment. It would be nice to tie down in fact where we are actually borrowing this wealth. Are we borrowing it from future generations or are we borrowing it from future inflation? 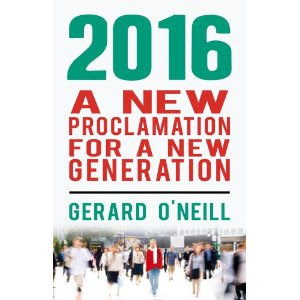 In my view it is inconceivable that it goes on the account of future generations. Not only is it immoral, but it is impractical as we are currently seeing. ie. deleveraging is at the end of the road, with decimated economies on account of austerity, growing civil unrest, and drastically reduced growth forecasts in economies like Germany... A nice steady rate of inflation of around 5-6% is just the panacea to make the debt manageable. Anyway, it is the only realistic alternative at this stage, not just in economic terms, but more to the point, in political terms. Hugh, do you really think we should emulate Latvia? As one commentator said, surely Latvia represents a veritable Protestant morality play. But I think it is important to count the real costs of the kind of action taken by Latvia. There are severe social problems and high emigration there, argubably on account of the Thatcheresque policies promoted there. Sometimes a country in deep trouble has no choice but to bite the bullet. It's arguable whether Ireland is in as much trouble as Latvia was, but we have definitely turned our backs on anything that could be described as a "quick-fix".